After her stellar performance at the second Republican debate Wednesday night, most of America proclaimed Carly Fiorina the winner. She clawed her way into the primetime event after her poll numbers jumped up in response to her strong performance in the first GOP debate in August, and now she's expected to become a front-runner for the Republican nomination. Fiorina's strong stage presence, articulate answers, and ability to stand up to the most outspoken and offensive presidential candidate, Donald Trump, proved that she's a debate all-star. Surprisingly though, Fiorina's debate strategy was pretty simple — she just listened intently to everything that was said. While it may seem like the key to winning a presidential debate is a complex 10-step plan, Fiorina's strategy was just utilizing a basic skill. On MSNBC's Morning Joe Thursday morning, Fiorina said, "I was paying very close attention every minute of that debate because every minute counted for me and I wanted to be very aware of what was going on around me." Every candidate goes into a debate with important talking points they want to say at some point, and Fiorina was no different. She was so successful, though, because she was also able to play off of what her opponents said on the stage and what questions she was asked. "There were things that I wanted to say last night, and then there are other things that you need to say based on what's happening around you." Listening is not a skill that all the Republican presidential hopefuls have honed. The moderator, Jake Tapper, accused multiple candidates of not answering the question he posed, and while the politicians could have been trying to avoid a controversial issue, the problem also could have been their listening skills. When Tapper asked Scott Walker why he thinks raising the federal minimum wage is "lame," Walker explained how he's cut taxes in Wisconsin and Tapper called him out saying: "Dr. Carson, Governor Walker didn't really answer the question, but I'll let you respond." Tapper did call out Fiorina for not answering his question after he asked her, "Would you feel comfortable with Donald Trump's finger on the nuclear codes?" After some prodding, she replied, "That's not for me to answer; it is for the voters of this country to answer." She obviously didn't want to get in the middle of a Trump and Bobby Jindal argument over Trump's presidential capacities. Wednesday's debate was brutally long (three hours to be exact), so it's understandable that some candidates might have zoned out for a bit while others were being questioned. However, Fiorina claimed she hung on every word that was spoken, which allowed her to answer thoughtfully and directly. 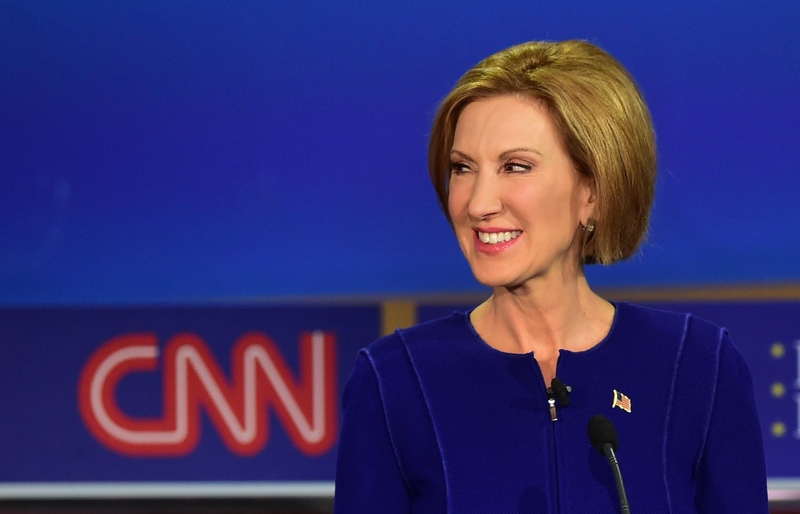 Fiorina told Morning Joe, "I was satisfied that I said what I needed to say last night." In the name of girl power, she also added, "It was a long debate and I’ll tell you what, I had to do it on high heels."